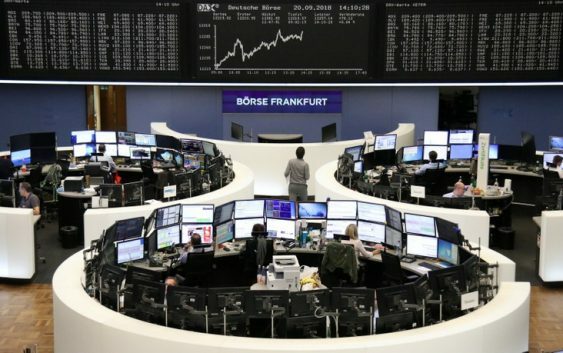 LONDON (Reuters) – The U.S.-China trade war bit again on Monday, denting European stock markets after tariffs from the world’s biggest economies came into force and China canceled planned talks, triggering new fears of a protracted, costly trade dispute. 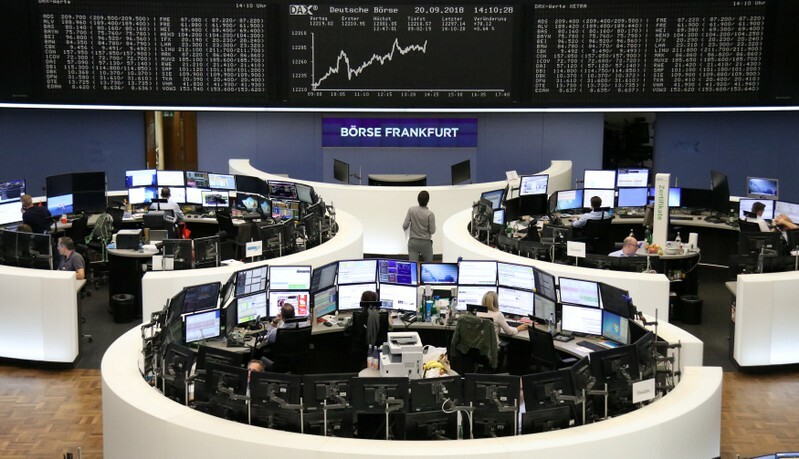 Europe’s STOXX 600 <.STOXX> fell 0.1 percent with Germany’s trade-sensitive DAX <.GDAXI> down 0.3 percent. Autos and mining sectors, among the most dependent on smooth global trade, fell the furthest, down 0.8 to 0.9 percent. The leading euro zone stocks index <.STOXX50E> fell 0.3 percent, breaking its longest winning streak since 1997. Dealmaking drove the greatest moves across sectors, with Europe’s biggest pay-TV group Sky <SKYB.L> soaring after Comcast’s offer won an auction for the company. Randgold Resources <RRS.L> topped the STOXX with a 4.4 percent gain after it agreed a share-for-share merger with Canada’s Barrick Gold <ABX.TO> in a deal worth $18.3 billion. British travel operator Thomas Cook Group <TCG.L> sank 25 percent after slashing its profit outlook, blaming a hot summer in northern Europe for weaker holiday demand in the late August-September season. Thomas Cook peer TUI <TUIT.L> fell 3.3 percent. Shares in Danish medical equipment firm Coloplast <COLOb.CO> fell 1.9 percent after Berenberg analysts cut their recommendation on the stock to “sell”.